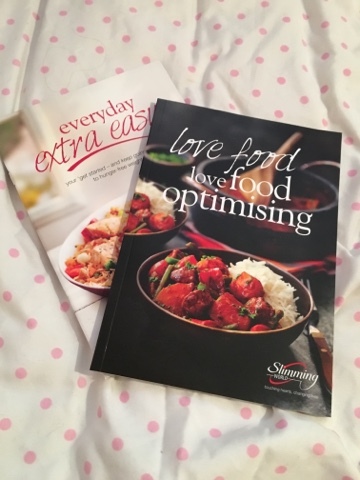 I've taken the plunge...that's right I've only gone and started Slimming World again. Now I've started this journey before, but for the past two months I decided I didn't want to do it as I was feeling like I was going anywhere. Yet, I've found myself getting back into old habits and my weight just went back on. 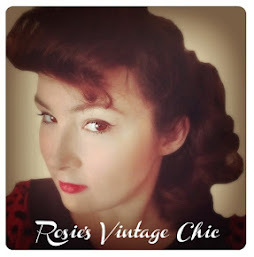 So last night I rejoined my old class and the consultant was really nice this time round. I've set myself a target of losing a stone at the moment to see how I go, but that might change as I get close to that stone depending on how I feel. 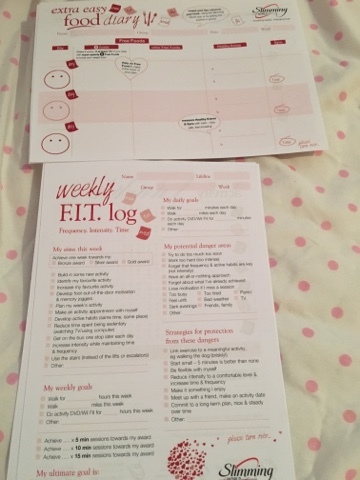 When I rejoined I got a new book, fit logs (these track how much exercise you are doing in a week and you work towards certificates like Bronze, Silver and Gold. 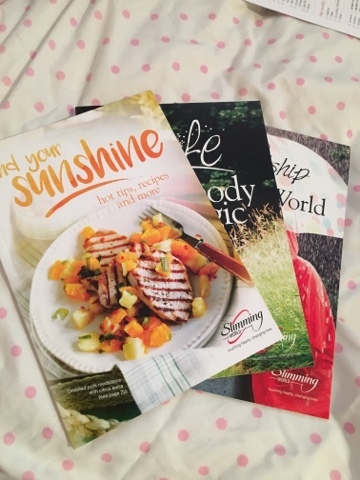 I also got with my pack some other goodies like a summertime book, and a book that tells you all about the plan, what syns are as well as speed foods and free food etc. 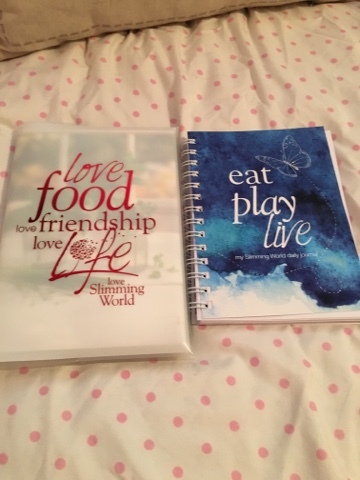 Along with these I bought a 12 week journal which is a mix of the food logs and little activities to finding out about your as a person on this journey. I've signed up for 12 weeks so the journal is really good. Also my target weight is my aim for September when I go back to work after the holidays. 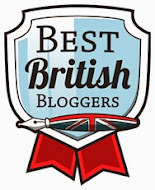 I hated walking upstairs getting out of breath and in skirts where my legs would rub together. I think that was the final straw and the fact that I have a spare tyre round my waist. So I'm hoping that in 6 weeks to have reached my target and maybe set a new target of another stone. Stick around and I will keep you updated on my Slimming World journey. Expect before and after photos along the way.